AI-Tek Instruments Bidirectional Speed Sensors Distributed by FLW, Inc.
FLW is the largest stocking distributor of AI-TEK Instruments (formerly Airpax Instruments) and provides a complete line of tachometers, speed indicators, variable reluctance speed sensors, magneto-resistive and hall effect sensors to measure rotary speed. 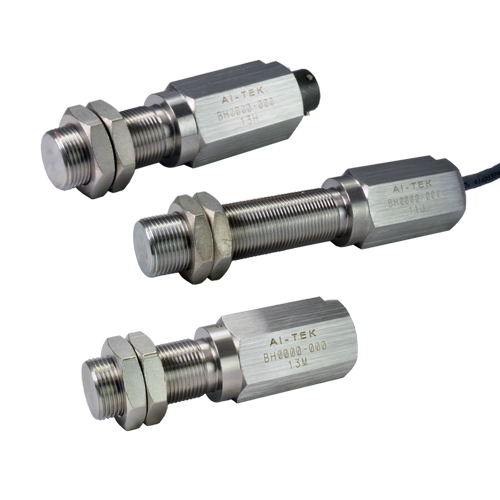 AI-Tek Bi-directional, zero velocity sensors are self-calibrating to the specific customer application and provide two independent frequency outputs and a direction signal output to	indicate change in direction of the sensed, ferrous target. The Bi-directional sensor can also be referred to as a dual channel sensor since it utilizes two hall effect sensing elements, physically offset from each other. Each element generates a single channel of target information, identical in frequency and polarity, but offset in the time domain (phase shifted). 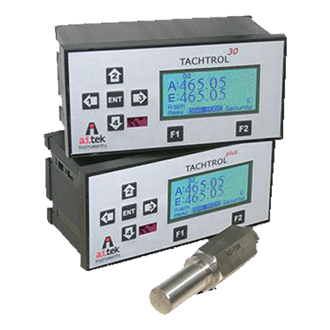 Special circuits inside the sensor are designed to calibrate each channel to its application target, then analyze these two channels of information for a phase lead / lag condition. The direction output will then provide a logic 1 level for clockwise or a logic 0 for counterclockwise rotation, assuming proper sensor orientation. We know speed and frequency. As AI-Tek's largest distributor with experienced product specialists, we can help answer your tough application questions.